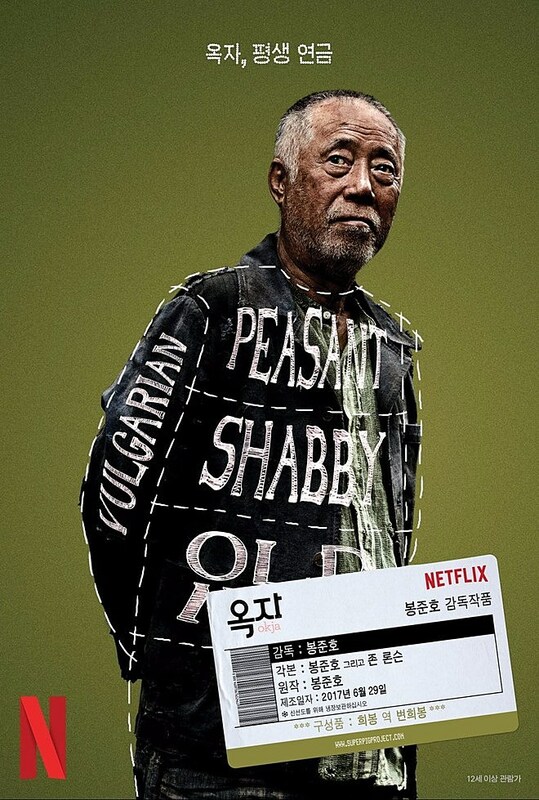 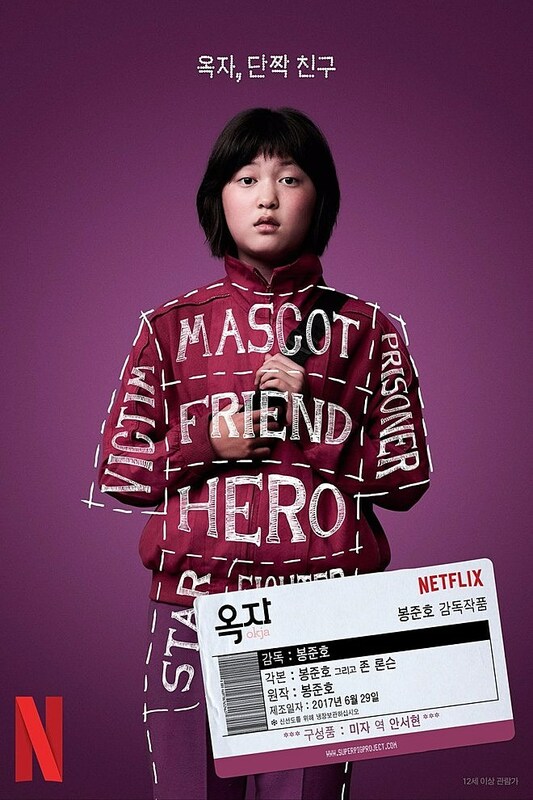 Bong Joon-ho’s latest is going to hit Netflix in a few short weeks, and the buzz around it is already starting. 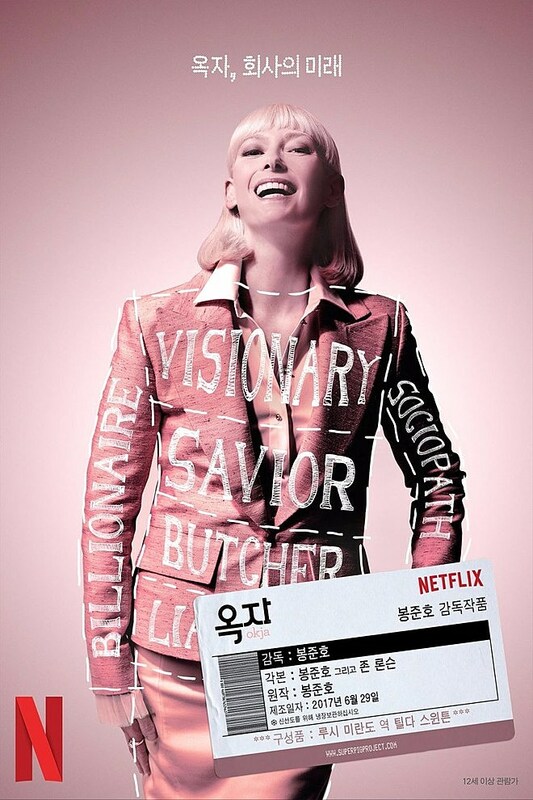 Okja had a fantastic premiere at Cannes, despite the controversy over whether Netflix will give their films theatrical releases, and the promotion for its release is already gearing up. 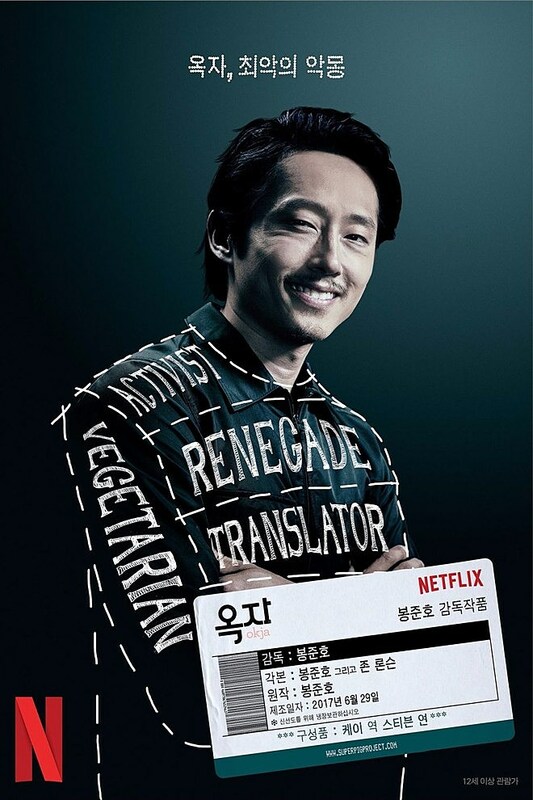 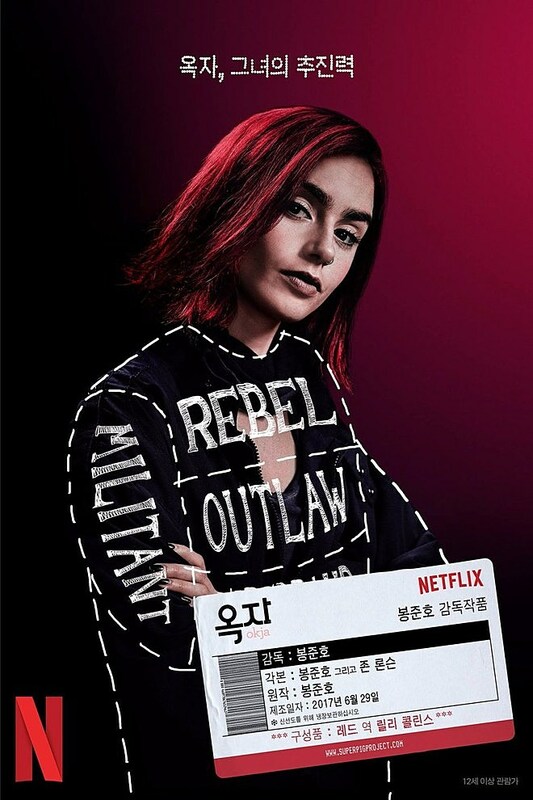 A new series of Korean character posters helpfully describe almost every cast member (the eponymous super pig is absent), and separates all their traits into loins, shanks, and prime cuts. 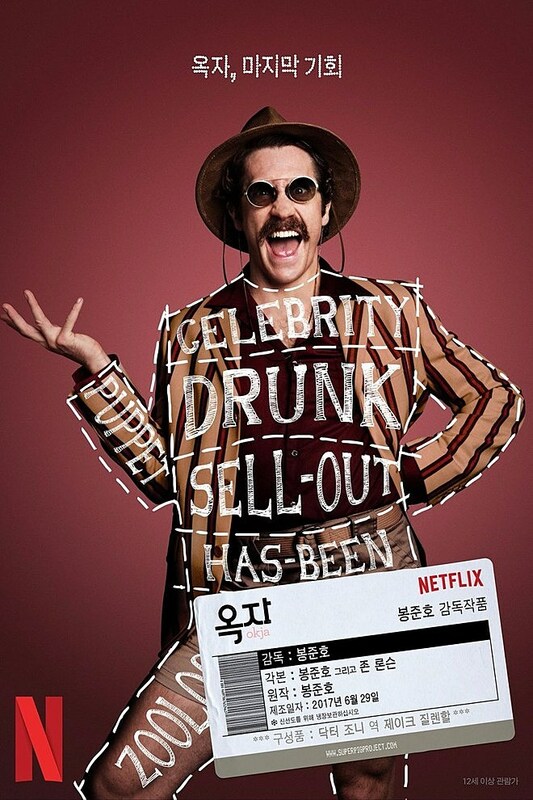 By far my favorite of these is Jake Gyllenhaal, who plays a Steve Irwin-like celebrity called Dr. Johnny Wilcox with every ounce of nutty, wheezy energy he has. 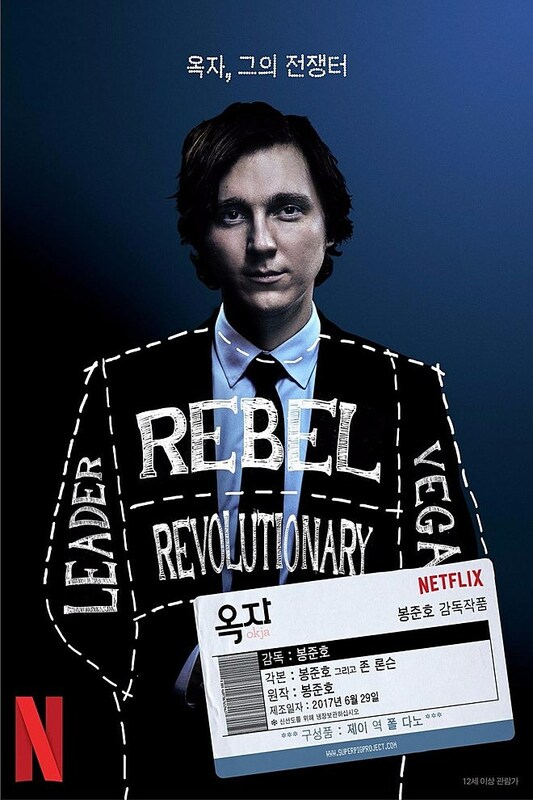 There’s also Tilda Swinton as Lucy Mirando, Seo-Hyeon Ahn as protagonist Mija, and Paul Dano as the “rebel” Jay.